Former T3 man Mat Evans is set to run the quite frankly insane Marathon des Sables – known as one of the toughest foot races on the planet – for charity. 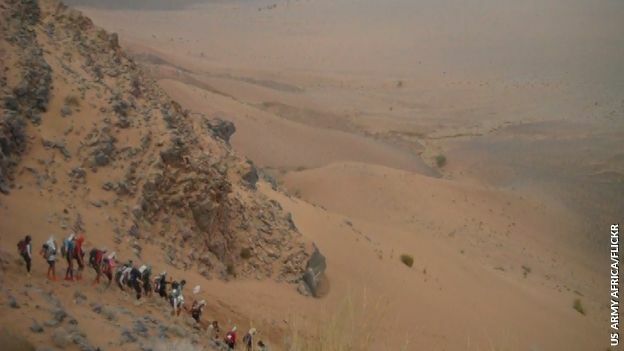 The Marathon des Sables, known simply as MdS, is a six day, 251km ultra-marathon through the Sahara desert, starting on April 7th. To help him complete the gruelling event, Mat will be carrying the all new Yellowbrick tracking device (see the May edition of T3). The Yellowbrick will track his every move for the next six foot-busting days on the sand. The Yelllowbrick is a tiny (300 grams), rudggedised tracking device that uses the Iridium satellite network to pinpoint it's location avery 15 minutes, anywhere on the surface of the planet. The results are uploaded to a custom map. The device also features a an SOS button, and can even send Tweets or SMS messages to friends and family. One of the things that make the race particularly gruelling is that you have to be self-sufficient for the entire event. The only thing you aren't required to carry is water you need to survive. The organisers also provide you with a place in a tent to sleep. As if the idea of a 251km ultra-marathon isn't terrifying enough, below are some stats to give you an idea of what Mat is really up against. If you want to give it a try, then why not start out by looking at our round up of the best running trainers on the market.